Our PH is beautiful, comfortable, clean, spacious, warm and sunny. It has a large kitchen with adjoining dining room. The deck overlooks a beautiful sea canal with fishing boats, it has a private solarium with a jacuzzi. At walking distance you can swim with dolphins. It is a paradise for fishermen, scuba divers, golf players or you can only relax in a very calm an secure place. 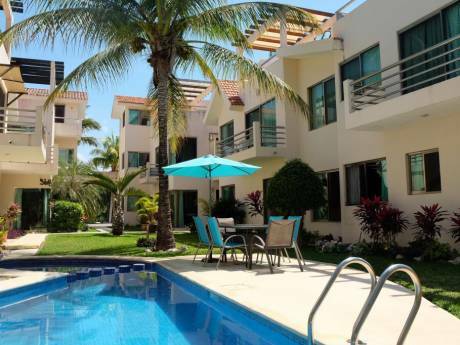 It is only 20 minutes from Playa del Carmen and 45 minutes to Tulum. This a second home so we are open for a non simultaneous exchange. I am a Medical Doctor, a Child neurologist, and my wife is a psychologist. We have two Children, one of them in his last year of Medicine and the second studying International relations. We are very respectful and we love culture and traveling. Puerto Aventuras, activities center around the picturesque commercial center surrounding the largest marina on the Mayan Riviera. Activities and services include numerous boutiques including Art galleries, restaurants, snorkel tours, car rental agency, 3 dive shops, maritime museum, gym, spa, fishing charters, catamaran day trips, parasailing and the Dolphin Discovery program where you can swim with dolphins. Within walking distance yu find powdery white sand beaches with beuntiful reefs just off shore, kayak & snorkel rentals, picturesque deepwater marina, challenging 9 hole golf course (a hidden gem), tennis courts, and an open air palapa roofed church.The gin clear, turquoise blue water is shallow and well protected by the outer reef. 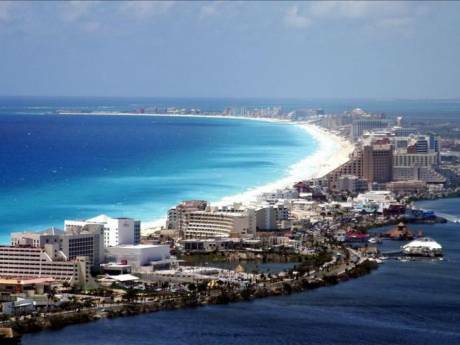 It is a great place to swim, snorkel or build a sandcastle. 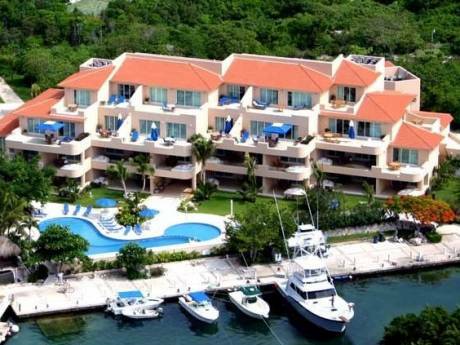 Puerto Aventuras deepwater marina has capacity for over 250 boats and attracts everything from small pleasure craft right through to 150 plus ft. luxury yachts. Wander along the marina walkways and feel free to check out the boats and chat with the crews as you explore this wonderful community. Fishing boat crews can be real characters with many interesting stories to tell. Puerto Aventuras 9 hole par 36 golf course is challenging, very pretty, and never busy.